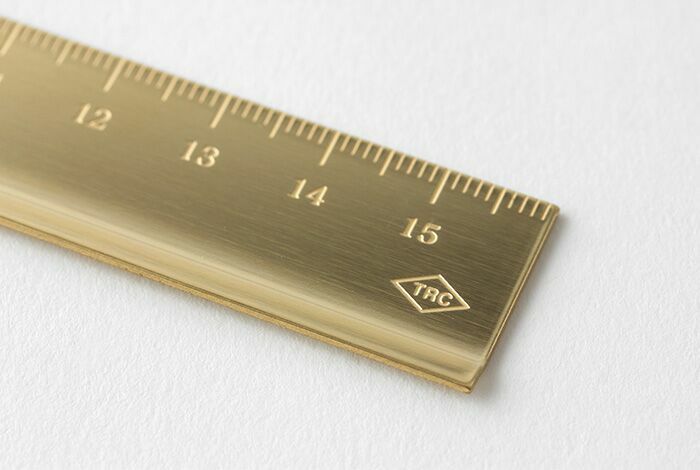 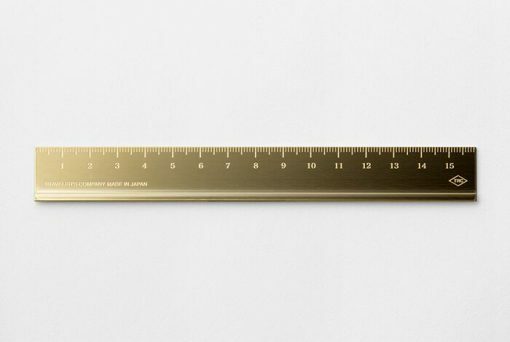 Ruler made of solid brass. It features a small ridge, designed for an easy pick-up. This brass product proudly carries the “age well” signature; the more you use it, the better it gets. 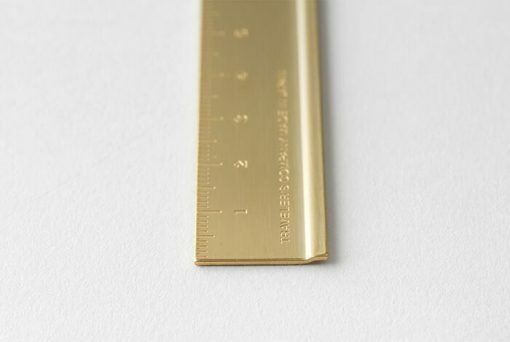 At first, the brass has a golden colour, but over time and usage, the surface will oxidize and the ruler will age with beauty as the colour becomes darker.